I have changed my daily routine drastically. Like what ? You must be wondering. I have stopped reading newspapers early morning with my first cup of TEA. Why ? because of all those scary news about thefts, robberies, murders etc in my dear Aamchi Mumbai. I don't want to begin my day with negative news and spoil my mood. Dear friends , what about you ? #HowSafeAreYou ? Food , Clothing , Shelter are the basic needs for human beings. We Humans have IQs and EQs. We strive for Physical / mental health , Love and Security for satisfactory life. Safety , Security for us , our family , our friends , our society as a whole is important to live life comfortably. 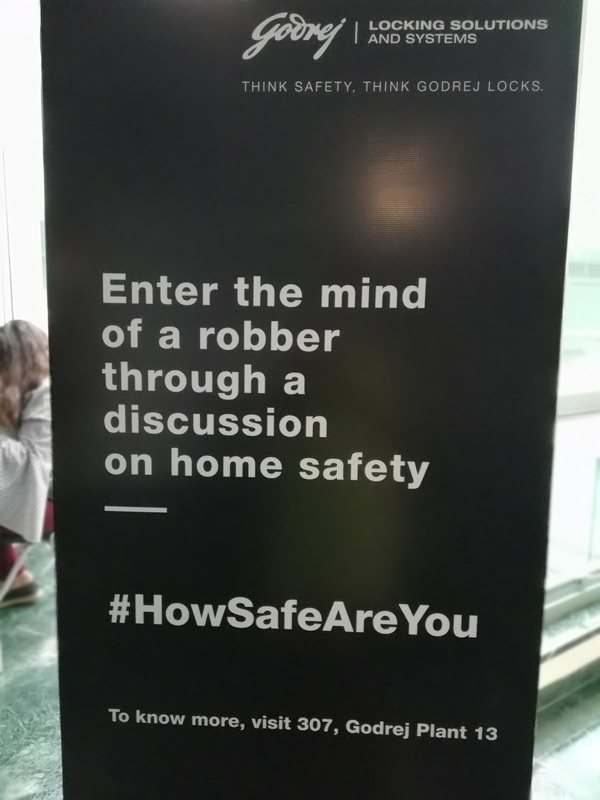 I got the invite to attend a campaign #HowsafeAreYou organised by Godrej Locking Solutions and system at the Hubble, Godrej one office in Mumbai. 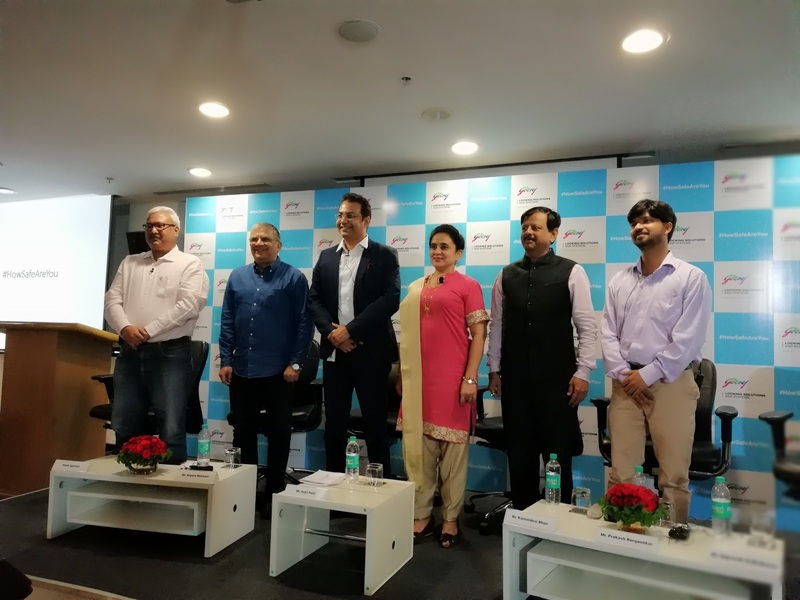 Godrej urged the homebuyers to be proactive in their approach to safety. To create awareness, Godrej observed and celebrate the #HomeSafetyDay on 15th November 2017. 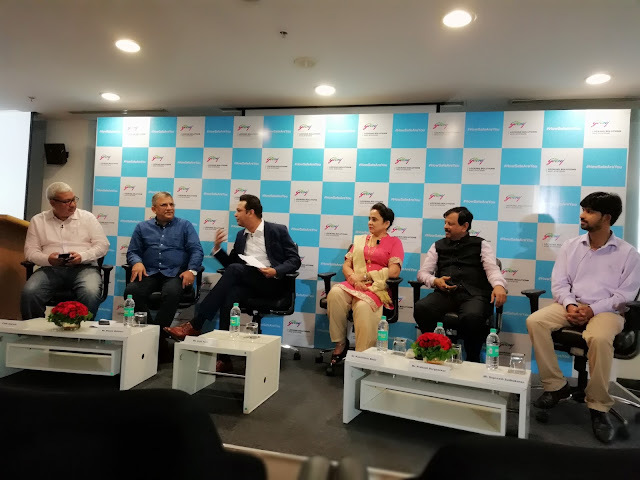 Godrej Locking Solutions and Systems unveiled #HowSafeAreYou campaign to spread awareness about Home safety. They released thought provoking videos giving us a sneak peek into the minds of thieves, robbers and such alike. The Godrej is a 120 year old leading manufacturer of innovative locking devices . Since its inception in 1897 by Ardeshir Godrej , the brand Godrej has become synonymous with Trust, protection and integrity. Godrej Locking Solutions & Systems has set several benchmarks in the locks industry – from the first spring-less lock in 1907 to the iconic 'NavTal' in 1954 to the Ultra range in 1995 to the revolutionary 3KS in 2007. From a state-of-the-art manufacturing facility in a suburb of Mumbai, Godrej Locking Solutions & Systems provides locking solutions that reach homes, offices, industries and the hearts of millions of people in India and around the world for whom ‘locks’ means Godrej. Shyam Motwani, EVP and Head of Business – Godrej Locking Solutions and Systems : ' Preparedness is the key. One of the primary rules of defense is to understand the enemy. It is important as responsible citizens to be prepared to tackle unforeseen circumstances . great info. I refer a lot to your posts for gadget know how. Good to know about the event and the short history of Godrej's journey, we all are very familiar with Godrej's locks and NavTal. Kya Aapke Cake Mein Iron Hai ?